Creative Camera started life as Camera Owner, a ‘hobbyist’ publication, in June 1964. This was to become issue number one of a journal that was to evolve to become a critical part of the growth of British independent photography in the 1970s and 1980s. Published monthly or bi-monthly with some gaps, it survived precariously until January 2000, issue number 362, which was really only a reference edition, listing resources worldwide. The last complete issue as a magazine was December 1999, No. 361, illustrated at the foot of this page. 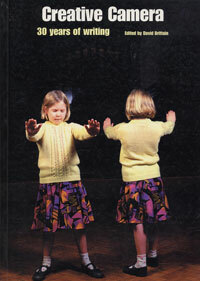 Thereafter it was transformed by its last editor, David Brittain, into the short-lived imaging journal DPICT, which survived seven issues, finally closing in early 2001 when grant aid (from the Arts Council of Great Britain) was withdrawn. The first issue of Camera Owner in 1964, edited by Alec Fry, contained illustrated articles ranging from ‘The Feminine Advantage’ to ‘Shoot That Budgie’ – quite an interesting mix! 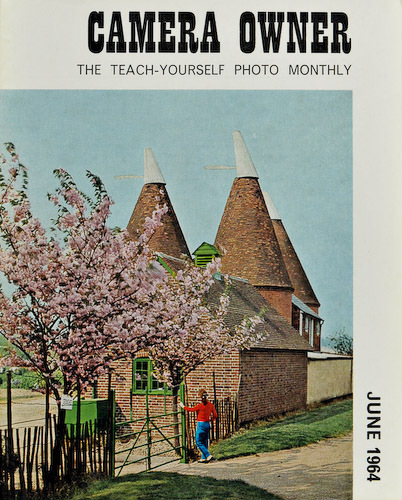 It was subtitled ‘The Teach-Yourself Photo Monthly’ and was aimed at the keen amateur with a love of photography but no real desire to learn the technical jargon and dabble with chemicals and formulæ. Alec Fry justified his editorship of “yet another photo monthly” by stating its aim to “enthuse and encourage” the reader to produce “infinitely better results“. 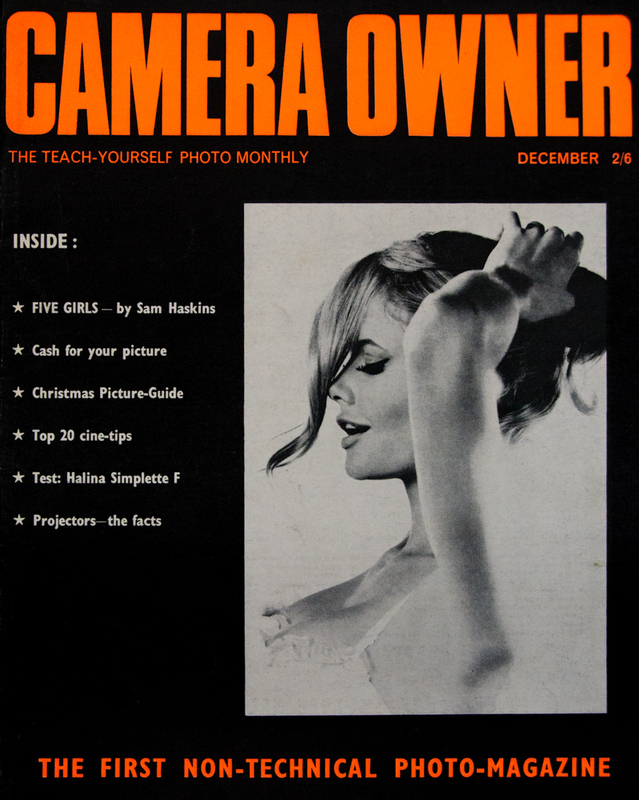 In February 1965, Jurgen Schadeberg took over as Picture Editor for Issue #8 of Camera Owner. The change was very apparent, with a much stronger cover design and a bolder use of pictures. Schadeberg had been the picture editor of the influential ‘Drum’ magazine in South Africa in the 1950s. By Issue #10, in April 1965, he was editor of Camera Owner. In July 1965, two articles by Bill Jay featured. By December of the same year he was listed as Editor. Bill Jay has a memoir (PDF download) of his involvement with Creative Camera in the excellent ‘Essays & Articles‘ section of his web site. I have also included it here. The article appeared in the now defunct Ag Magazine, Issues 51 & 52, 2008, as well. Bill Jay’s site also houses the magnificent collection of his own Portraits of Photographers. The cover of the first issue to list Bill Jay as Editor. Bill Jay had a mission to promote photography as a serious art form – and to produce a British magazine to rival the U.S. and Swiss journals, Aperture and Camera respectively. As a result of conversations between Jay and Colin Osman, in May 1966 Osman’s Coo Press, a publishing house with a long history of racing pigeon publications, bought the by then ailing Camera Owner from the publishers Davpet Ltd for £1. Osman was himself a keen photographer, but Jay remained the driving force and was changing the style of the journal. This change was possibly the reason it was losing its original readers, but it was also attracting new ones, amongst them young British photographers like David Hurn and Tony Ray-Jones. In transforming a ‘hobbyist’ journal into something much more, it was soon realised that the name did not reflect the type of photographer the magazine was aimed at. During 1967 the word ‘Creative’, in a smaller font, prefixed the title ‘Camera Owner’. By December, ‘Owner’ was relegated to the smaller font and ‘Creative Camera’ dominated the masthead. The journal finally became ‘Creative Camera‘ alone in February 1968. Colin Osman called it “a rather meaningless name’” but it stuck and saw the magazine through more than 30 years of publication. The changing face of Camera Owner under Bill Jay’s editorship, April 1967 – March 1968. Bill Jay left to pursue publication of his own, regrettably short-lived, journal Album in December 1969 and in January 1970 Colin Osman, a knowledgeable photo-historian in addition to being a dedicated amateur photographer, became editor. He was joined by Peter Turner, first as Assistant Editor and then as Co-Editor. Peter Turner’s ‘Epitaph for Creative Camera‘ is reproduced here and contains a detailed and personal account of the early days. Both Osman and Turner are now sadly no longer with us, but their legacy rests in the enormous contribution to international independent photography made by their devotion to the cause. During the 1970s five substantial ‘international year books’ were also published containing larger portfolios than could be accommodated in the magazine. These also included extended articles and interviews with leading practitioners. In his excellent book ‘ Creative Camera: Thirty Years of Writing… ‘ David Brittain, who was editor from mid-1991 onwards, has provided a personal chronological breakdown of the magazine’s evolution (see review in Source Magazine). 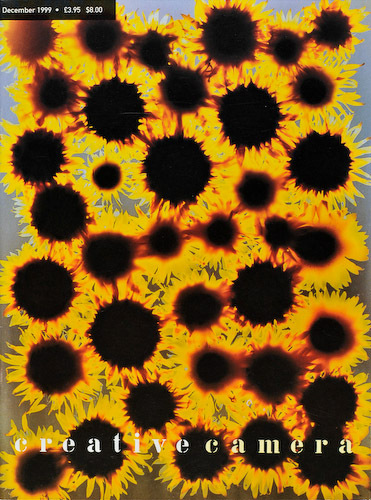 He calls the period between 1968 and 1981 the magazine’s ‘creative years‘; those between 1981 and 1986 the ‘years of contest‘ and from 1986 until 1991 the ‘independent years‘, when the magazine became a revenue client of the Arts Council of Great Britain. His own period of tenure, starting in 1991 and during which the Arts Council funded production, he calls ‘the post-theory years‘. David Brittain’s essay following the final closure of the magazine is reproduced here. I remained a loyal reader/subscriber throughout most of the magazine’s existence from 1975 into the mid 90s. Sometimes I loved it and looked forward to each new issue; other times it lay unopened as I postponed the difficult task of wrestling with its content and motives. Now it has gone I miss being able to choose whether to read it or not. It came into existence during a critical period in the history of photography in the UK. Through the drive and commitment of its publisher and the dedication of its editors and contributors it became essential reading for those anxious to explore the types of photography emerging from the US, Europe and the UK in the 60s and 70s. It championed an approach, rooted in modernism, that was at odds with the comfortable, traditional camera club world that UK photography had settled into during the post-war period of the 1950s and 60s. 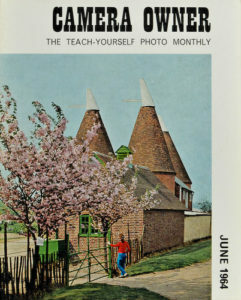 Amongst contemporary practioners in the UK there were notable exceptions, people like Bill Brandt, David Hurn, Tony Ray-Jones, Philip Jones Griffiths, Raymond Moore and Don McCullin were all producing work that challenged conventional approaches, but there were few outlets for this type of photography and precious little academic or financial support. Creative Camera provided a home for widely differing opinions and approaches to photography. It sustained a ‘community of practice’ wrought from the ideals and ambitions of a handful of individuals convinced of the importance of independent photography in a wider art context. Although it supported a ‘broad church’ approach it never shied away from contention or conflict. It deserves a place in any history of photography and I for one remain grateful for the thought provoking, often stimulating and sometimes challenging material it has made me aware of over the years.